This is a story of a company that is currently using Excel instead of a real accounting system. I recently was talking to a prospective client who has been in business multiple years and is doing rather nicely. They are on the cusp of a dramatic increase in sales and as such new that they needed to bring on in some capacity a Chief Financial Officer. During the course of our wide-ranging discussion, I asked what accounting system he was using. His answer was a little shocking in that this established, multi-year business was using Excel spreadsheets. When I said that was really an insufficient and potentially a dangerous way to keep one’s books and records, he asked why? 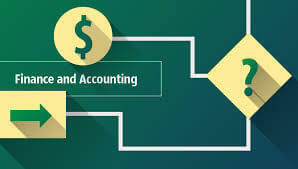 Let’s start with what is generally accepted accounting and the basis for all accounting and bookkeeping standards in not only the United States, but the world. It was codified by an Italian Luca Pacioli around 1494. Every transaction must ultimately equal zero. Accounts whether they are assets (like cash and accounts receivable) or liabilities (like loans owed or accounts payable), equity, revenue or expenses are either increased of decreased by a transaction. We use the term debits and credits when making a transaction (think of positive and negative numbers, but a negative number in accounting may actually a positive – but that is outside the scope of the narrative). Anyway, the total of all the elements of a transaction in double entry accounting equal zero. Excel is not made to be double entry. It is quite easy to record a transaction that does not balance (debits equaling credits or mathematically equaling zero). Secondly, as previously alluded to, it is easy to break a formula in Excel. That would throw off your totals; many times without you being aware that a formula is wrong. Thirdly, multiple people using the same spreadsheet/workbook is problematic. It may work, but it is far from seamless and error free. Lastly, Excel spreadsheets can and often become unusable. This means your data is lost unless you backup often. For those reasons, one should not use Excel for an accounting system. A well-made accounting system requires that every entry be balanced. In fact, with the exception of posting retained earnings no entry should ever be permitted to be out of balance (made by an end-user vs an Administrator). The only real issue that should require correction is when someone debits and credits the same general ledger account. This action throws the accounting system off, but unbelievably, keeps it in balance (again other issue out of the scope of this article). There are many alternatives accounting systems that you can use. Which one is dependent on your business: The way it operates and your strategic plan. The anticipated growth and whether you want the system hosted locally or have it in the “cloud” (SaaS based). You can buy a modular system and all the components made by a single publisher or use best of breed. SaaS based systems have large array of 3rd party applications, and we strongly suggest clients look at these systems. Why do people join LinkedIn? Are you a Cyber Victim?